Nikon D750, Tamron 15-30mm f2.8 lens, ISO 1600, f5.0, 20 seconds at 15mm. In lightroom I cooled the temperature, salvaged the shadows, raised the clarity to get the sand detail and then used a little noise reduction in the dark areas. 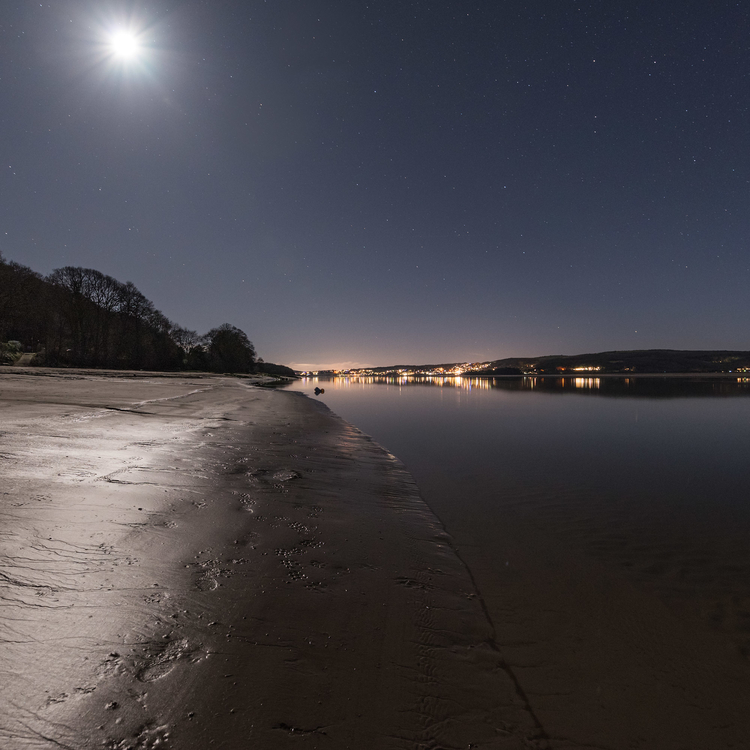 Captured at the side of the River Kent in Arnside.